You know how you can misjudge a book by its cover? Well, not only can you do that with a product, or a movie, or a person--you can also do that with a grocery store. I have lived about 0.10 miles away from a Trader Joe’s for the last year and half and I swear to you I didn’t step foot in it for over a year. And the only reason I did was in desperation to grab a quick gallon of milk when I was in a pinch. I, of course, thought because it was this “hip, trendy, organic” grocery store that the milk was going to be $15 a gallon. But alas, I was wrong in every way--the milk, the store, everything and the milk was $2.99 a gallon (cheaper than the regular grocery store I was going to) and I fell hard in love with this tiny, quaint, friendly grocery store. I mean who else has in-store marketing like this? 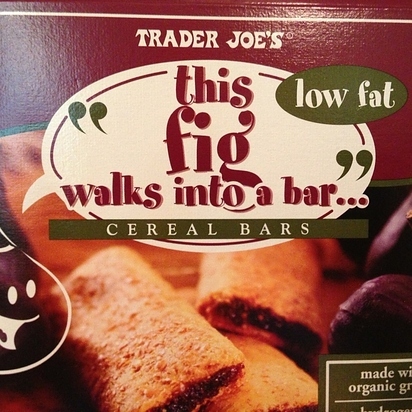 And who else has product names with hilarious puns like this?? 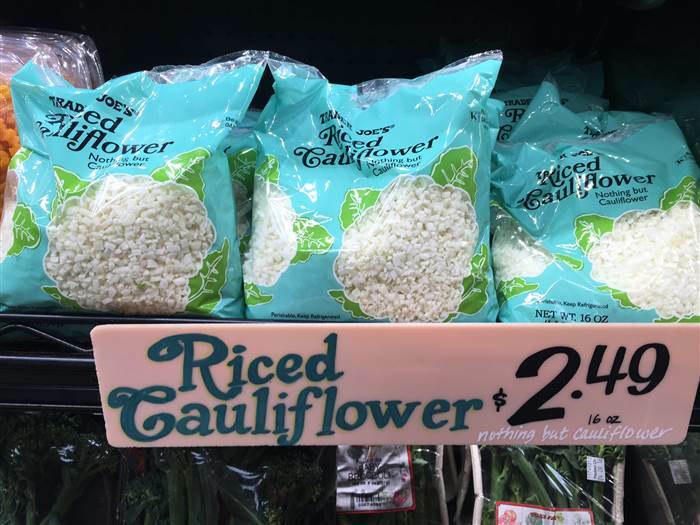 Where else can you buy fresh riced cauliflower for $2.50?? They do all the hard stuff for you! 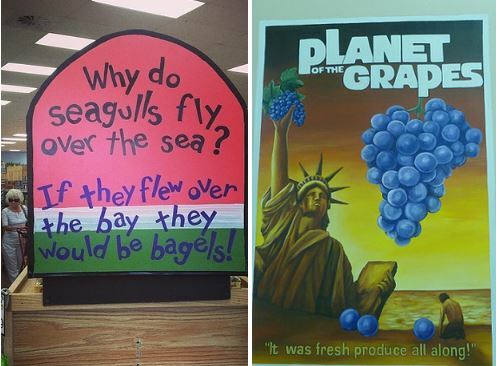 Only Trader Joe’s, I tell you! Apparently, it was one of those things I was kind of hoping it wasn’t going to live up to all the hype. Sometimes things are blown way out of proportion. But trust me, folks, as one of the old haters who figured it could never be as cool as everyone said--it kind of is! And do you know something else? There prices are very reasonable and competitive to any normal grocery store. They are kind of a health foods store but are the best priced health foods store I’ve ever been to in my life. I think they are every bit as cheap as anything found at my local Ralphs (aka Smiths, Frys, or Kroger depending on your area). Anyway, I would guess you have probably at least heard of them if you haven’t been in one yet. People are absolutely in love and quite obsessed with this store. And for good measure. They actually come in 2nd place overall of all the grocery store chains in the entire country. They have fabulous customer service and pay their employees well. Their stores are actually quite tiny. Your average grocery store carries over 50,000 products while your local TJ’s carries about 4,000. That is mostly because 80% of everything they sell is Trader Joe’s brand. And it’s one you can trust. There is not a ton a competitors trying to sell the same product. You came in looking for maple syrup, you’re going to find one brand of maple syrup. And it’s gonna be dang delicious too! In my opinion, this makes the shopping experience faster and more pleasant. 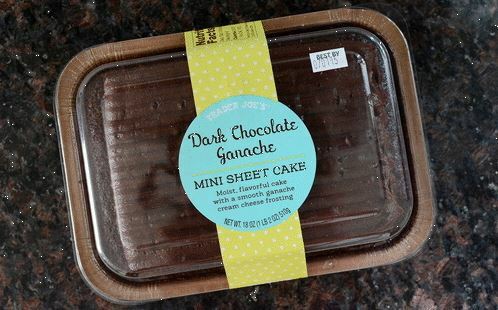 My number one obsession is the Dark Chocolate Ganache Mini Sheet Cake. It’s just a little guy and probably measures 5 inches by 9 inches and is AMAAAAAZING! I dream of this stuff. You also have to try their chocolate covered Lacey cookies. They are beyond divine. My sister-in-law has now gotten me hooked on their fresh prepacked salads. They are anywhere between $3.50 and $5, which isn’t too bad considering most lunches you might buy when eating out run around at least $10 a pop. They are so fresh and crisp and delicious. Not to mention they have wonderful, sometimes unique ingredients and dressings. I just had one the other day that was called “Field Fresh Chopped Salad With Grilled Chicken” ($4). Inside it has Israeli couscous, currants, asiago cheese, and toasted pecans with sweet basil dressing. I mean where else can you try Israeli couscous or currants for only $4? 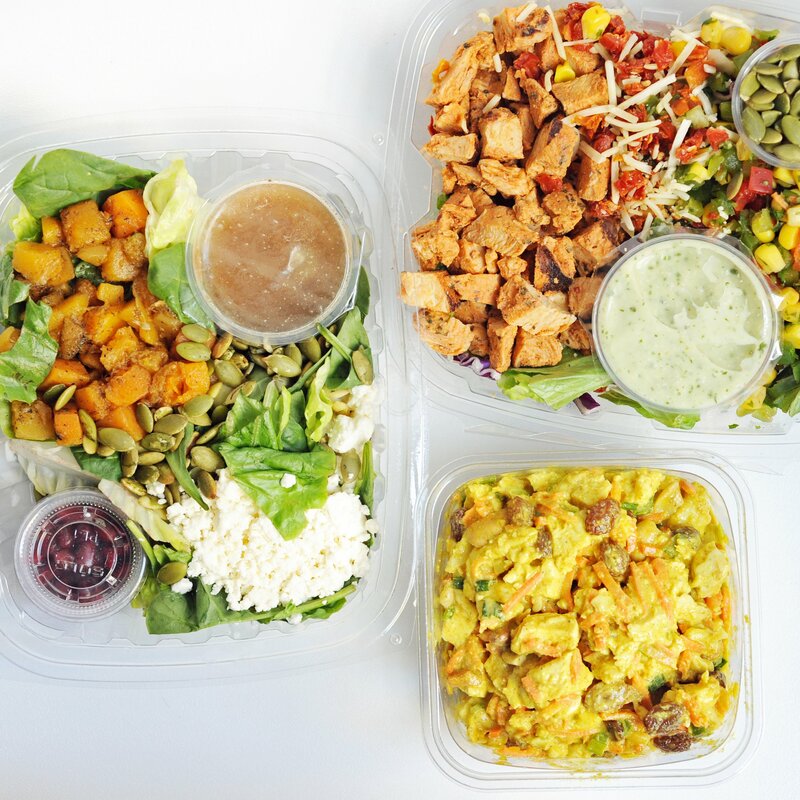 I really love buying salads like this because they do all the taste testing and find the good combinations and dressings. I have made a lot of semi-ok (at best) salads because I was trying to get cute with ingredients that didn’t pair well together. So thanks, TJ’s for figuring out this problem for me! And last of all I would like to mention their frozen section. They have really great prices for frozen berries and fruits and have delicious meals you can try such as their ever-famous mandarin orange chicken. And their vegetable fried rice on the side. Good stuff. Yeah, there really is a ton of good stuff in their freezer section. Enough said.